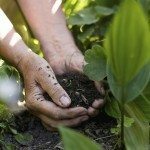 I am building a flower bed and was wondering what is the best soil to buy. . . topsoil, potting soil, or what? Also, how much manure per soil?